These high copper alloys (greater than 99% copper) have excellent forming characteristics and are only sold as a seamless tubing product. Popular applications include microwave tubes, sealing tubes and electrical applications (except C122, whose phosphorus content impedes conductivity) and gas lines. 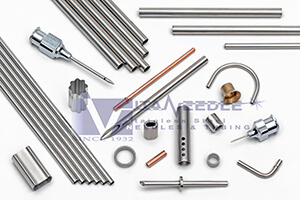 Both alloys have good brazing and soldering characteristics for assembly requirements when dictated. C10200 OFHC copper alloy tubing ( C102 ) - offers excellent electrical conductibity and is especially suitable for soldering and brazing as well be being easily cold worked or hot formed. 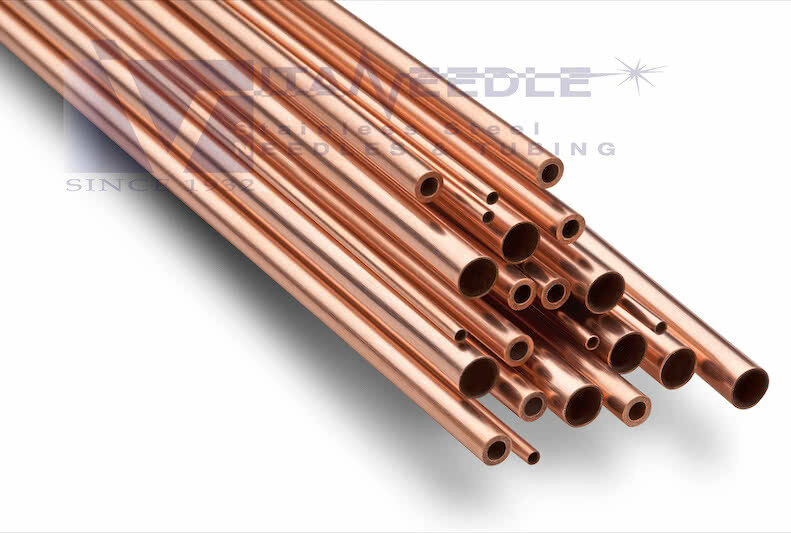 C12200 OFHC copper alloy tubing ( C122 ) - offers low electrical conductivity due to the phosphorus content in the alloy and is especially suitable for soldering and brazing.